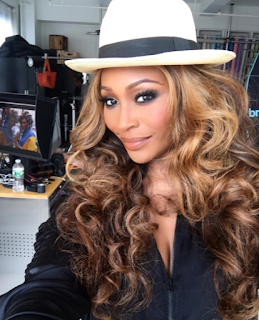 Rhymes With Snitch | Celebrity and Entertainment News | : Cynthia Bailey's New Boo? 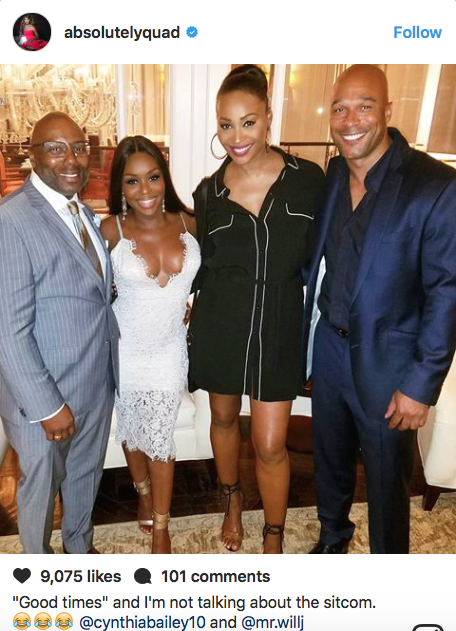 According to Tamera Tattles, who broke the Kenya Moore wedding news, Cynthia Bailey has been dating Atlanta motivational speaker Will Jones. Will is close friends with Atlanta mayoral candidate Michael Sterling, boyfriend of rumored new housewife Eva Marcille. I knew it wouldn't take long...she's a fine woman. He aint Leon fine and he probably a couple with Michael. Yeah it's one of those days. Cynthia is as big an alleged scammer as Peter. Ever since that "model" repped by the Bailey Agency traveled from Atlanta to California for a "booking" and was found with his organs and eyes missing, I've looked at Cynthia with the side-eye. Just what kind of "agency" is she allegedly running? Quad and the Doctor look happy and fabulous. 10:12 I've always liked Quad. They do look happy, healthy, and rested, don't they? How nice! Damn...I never heard about that. Ummmm...that is a heavy accusation. I saw an old episode of Oz the weekend before last with Leon and then that BET movie with him in the shower with that guy. I know he is an actor buthe has a gay sneer to ne I just cant ignore. I've always thought Leon was "sexually fluid" (that's the term now used in place of bisexuality)...maybe that's why Cynthia and Leon can only be friends and co-parent their daughter. Cynthia doesn't seem like the type that will be with a man who likes to flow back and forth between men and women. @9:56 Preach! These people are all crazy!